Success, in life and work, has its rewards. Fanny believes being a female leader in today’s society is about one’s upbringing and values and the ability to balance life, work, family – and the commitments that each commands. Fanny’s role in the family business as the secretary-treasurer and head of human resources for publicly traded company Perry Ellis International continues to evolve. Currently today; Chief Administrative Officer. Perry Ellis International is one of the world’s leading diversified brand lifestyle apparel companies with 2014 revenues nearing a billion dollars in sales and currently employees 2,600 associates. Although headquartered in Miami, Fanny travels extensively both domestically and abroad visiting the organizations worldwide offices. Fanny prides herself in hard work, coupled with relentless energy, drive and passion. She is a “hands-on” manager and is involved in every aspect of human resources from personnel recruiting to training and benefits administration. Working in tandem with her father and brother, George and Oscar Feldenkreis, Fanny manages various special projects including many negotiations and insures the business runs efficiently. In a challenging macro-economic environment, the company continues to flourish due to the constant attention to its’ people and infrastructure. Fanny is also the sole owner of another business. As the president of GFX, formerly Carfel, Inc. an automatic transmission manufacturing and sales company. Overseeing an auto parts import/export business, Fanny networks and utilizes her excellent communication and global contacts in Asia. Her innate business sense and expertise in running the daily operations and controlling logistics and the distribution center have helped GFX grow into a multi-million dollar business. Her highest accomplishment is being a devoted mother to five beautiful children Joseph, Gabriela, Natasha, Evan and Daniela. She is an active mom and finds the time to participate and support in various school related activities such as Hillel Community Day School and the Michael -Ann Russell Jewish Community Center enriching the lives of the community through cultural outlets including arts and athletics. Fanny was also awarded a Doctor of Business Administration in International Business from Johnson & Wales University. Fanny was raised in Miami, FL by Jewish-Cuban immigrant parents and understands the melding of cultures and has a keen understanding of people and compassion for giving back to the community. Her early education began with attending the Hebrew Academy in Miami Beach and majored in Political Science at George Washington University. Fanny is inspired by her father’s entrepreneurial vision and spirit. 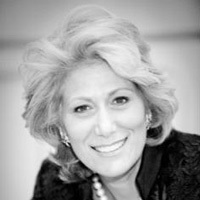 Fanny’s philanthropic efforts are evident through various sponsorships such as the International Women’s Forum, United Way, Friends of the Israeli Defense Forces and the Jewish Federation. She has been recognized for her leadership in various publications such as the South Florida Business Leader Magazine in the 2008 Women Extraordinaire Issue and the 2010 Power Players issue. As well as the November/December 2011 Apples to Oranges, magazine insert in the Wall Street Journal and NY Post.